This post was sponsored by Dunkin’ Donuts as part of an Influencer Activation for Influence Central for Dunkin Donuts Vanilla Cupcake Coffee. I received complimentary products to facilitate my review. Are you ready to find out #HowdTheyDunkThat? It’s always fun to get together with family and friends, especially when there is Dunkin Donuts involved. 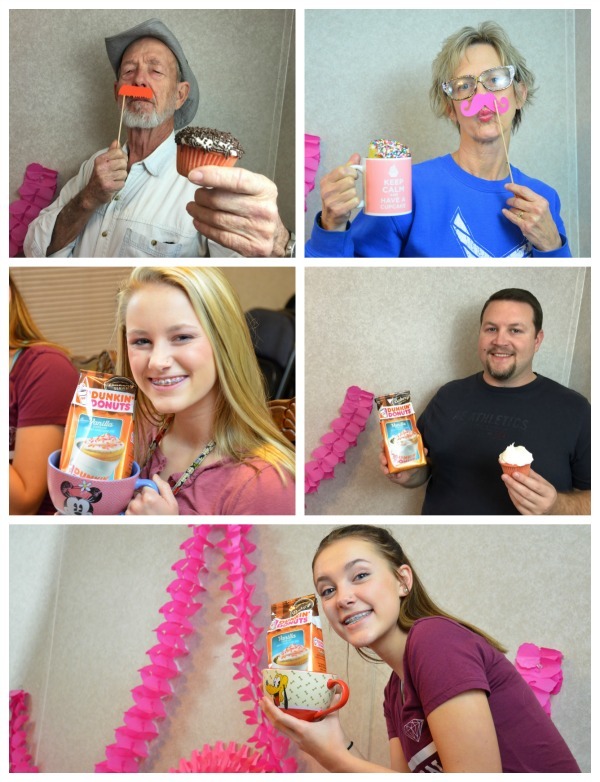 To celebrate their new Dunkin Donuts Vanilla Cupcake Coffee, we invited some family over for a night of dessert, coffee, and fun! 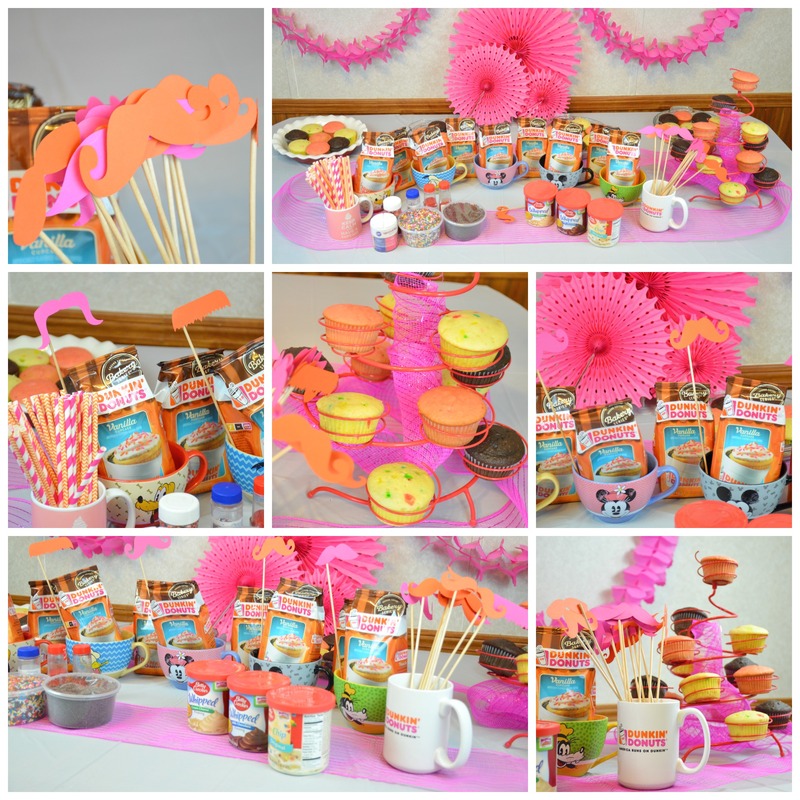 So, today I wanted to share with you how to how the perfect coffee party! Get great coffee! No one wants to attend a coffee party and not like the coffee, nor do they want plain, boring coffee. 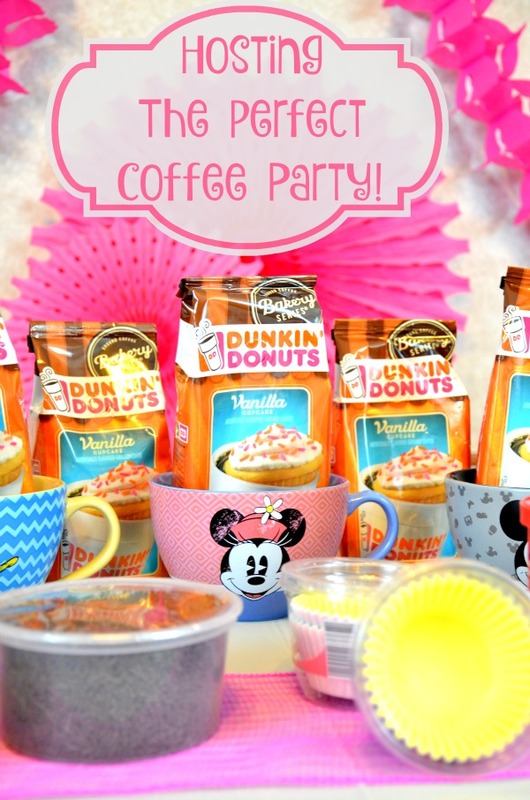 Dunkin Donuts Vanilla Cupcake Coffee is perfect for fun parties like we had or just when you want to visit with friends over a nice cup of coffee. The Dunkin Donuts Vanilla Cupcake Coffee is mild flavored, and the aroma is just like what my house smells like when we are baking vanilla cupcakes. This coffee is one of my new favorites! The new flavor is just in time for the new year, so you can have your cake and drink it too! It’s available in supermarkets nationwide and is perfect for your get together. The new flavor joins the Dunkin Donuts bakery series line (and they are all amazing I promise), so go pick it up today! Dessert. For a fun party, you need dessert! As we were focusing on the new Dunkin Donuts Vanilla Cupcake coffee, we decided to go with a cupcake decorating party. This way, while the adults enjoyed their coffee, the kids could have some for of their own. Okay, and the adults had a blast decorating their cupcakes! 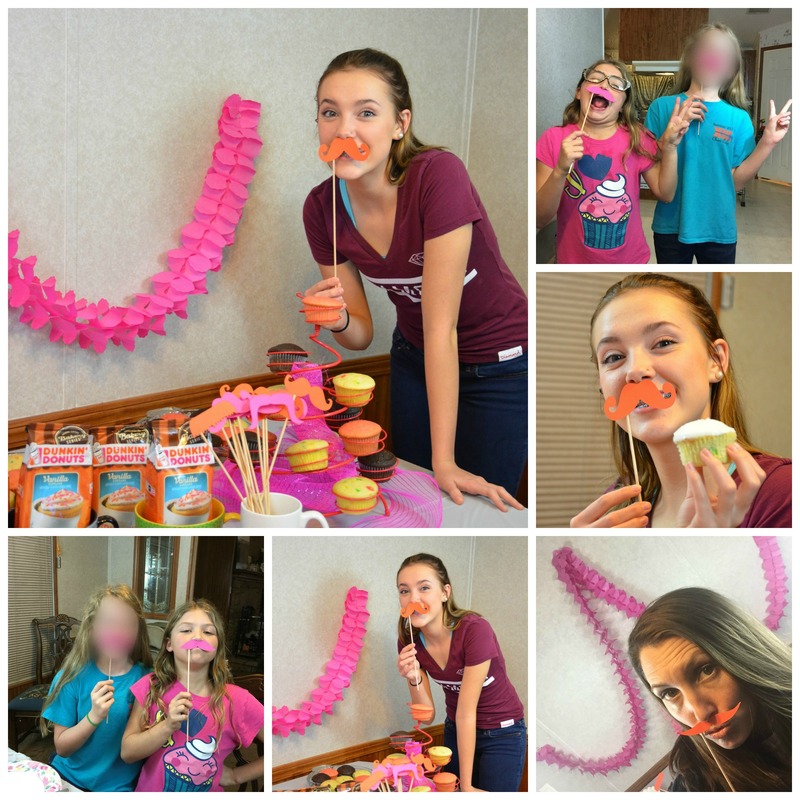 Check out the fun we were having with our cupcake bar! 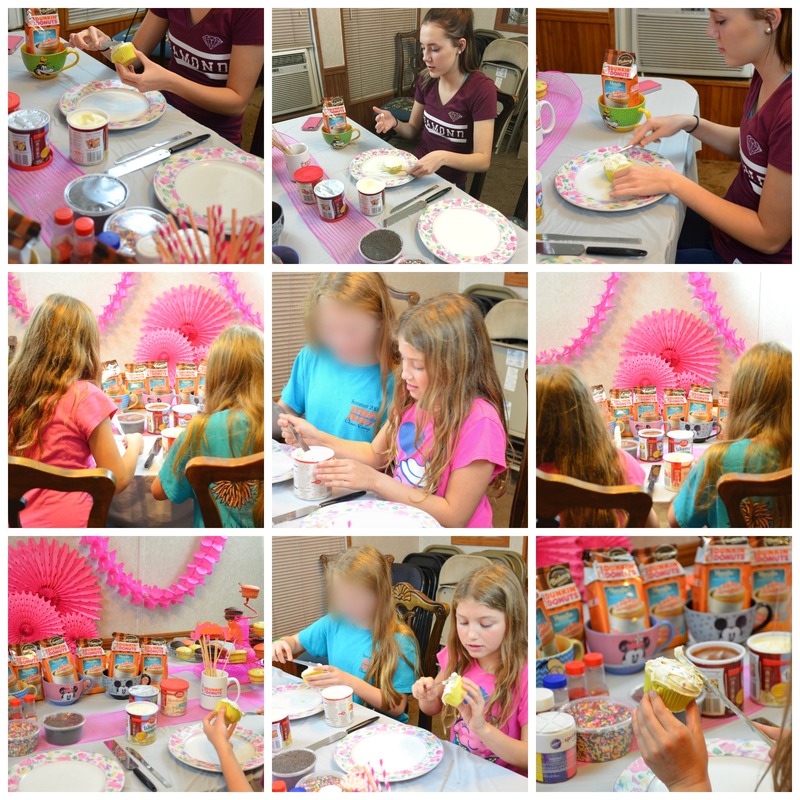 With sprinkles, icing, and lots of cupcake flavors it was a tasty way to have some fun! The Look! For any party, you need fun decor. 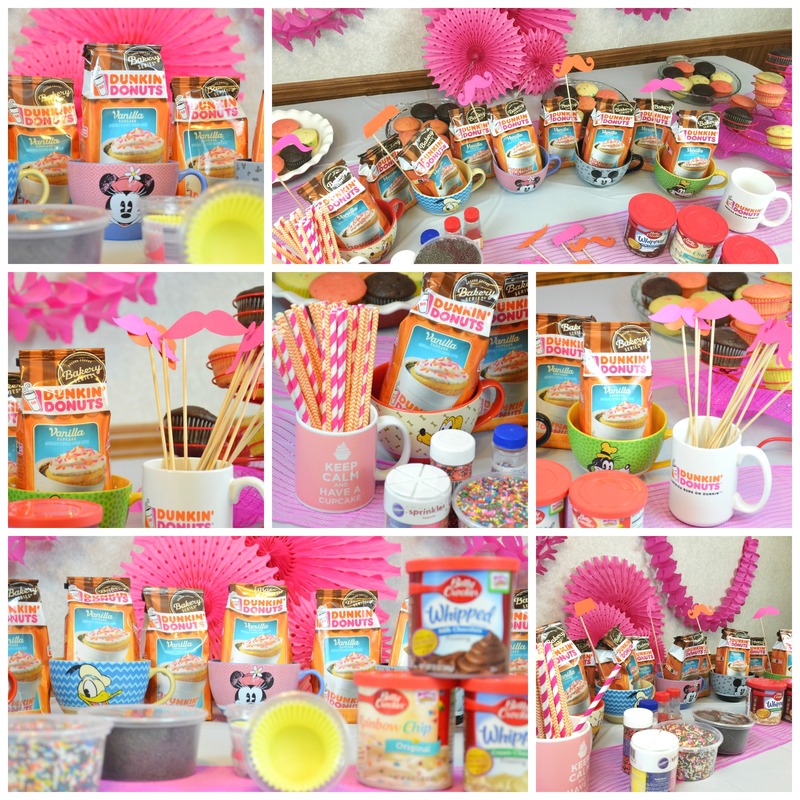 We went with the Dunkin Donuts colors of pink and orange, then weaved in some Disney fun! Each guest was able to take home a bag of Dunkin Donuts Vanilla Cupcake coffee. The mustaches make for great photos and of course, the kids were tickled over the Disney mugs. Having a theme for any party is what makes it stand out! So our Dunkin and Disney Cupcake Bar was perfect! 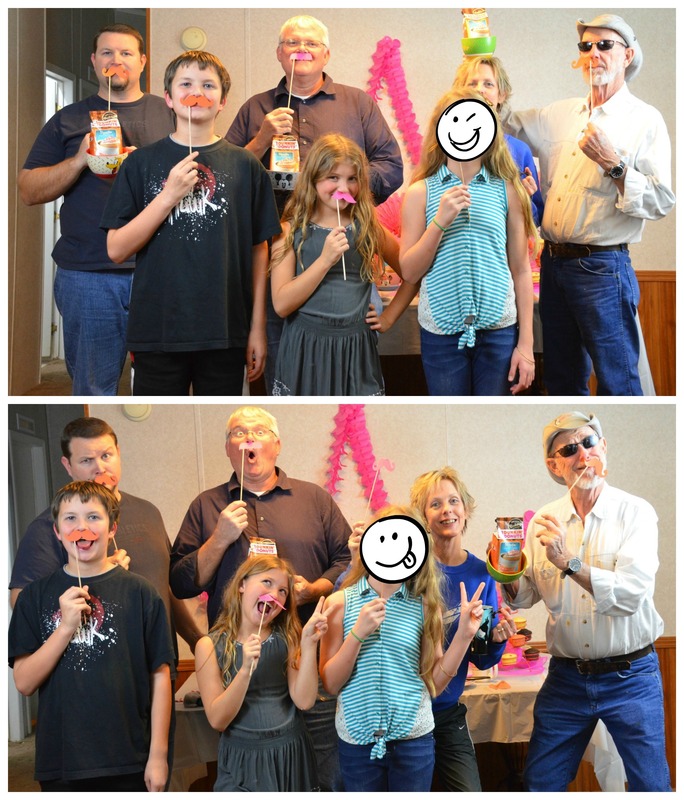 Here are a few of our “MugNMustache” photos! 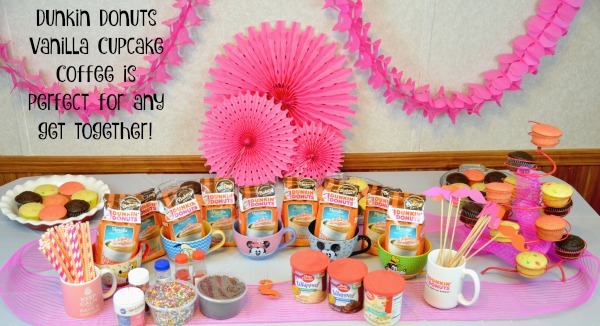 When you are ready to host your next party be sure to pick up some Dunkin Donuts Vanilla Cupcake Coffee! It’s a great addition to any party, and your guests will be thanking you! We can’t wait to try it iced in the summer! 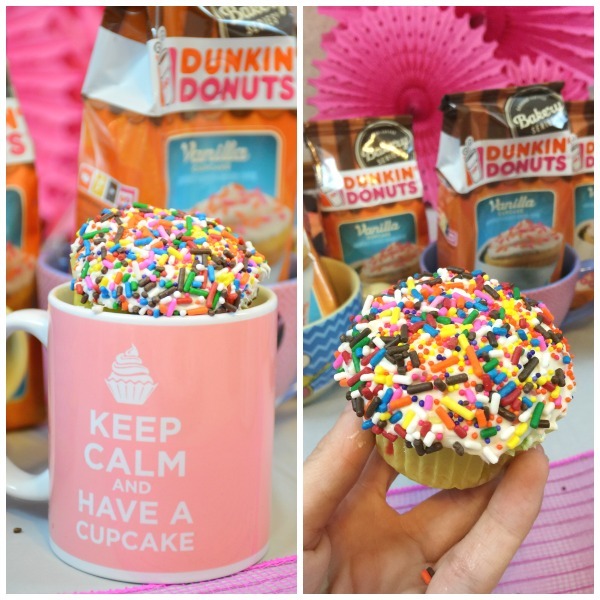 Are you ready to try Dunkin Donuts Vanilla Cupcake Coffee? What a fun party idea! I love the table setting and all the decorations. I love Dunkin Donuts coffee and enjoy trying all their flavors. I’d like to try the Vanilla Cupcake coffee.